Awards: In 2012, the book received an Alex Award from the Young Adult Library Services Association division of the American Library Association and won the 2012 Prometheus Award. Ever read a book which you really don’t want to end? A book you know will top the list of best read of the year as soon as you start reading it? A book which will blow your mind and leave you in WOW state? This is that book, the most Geekest book I read after Neal Stephenson Snow Crash and Cryptonomicon. The best thing about this book is 80’s references to Movies, TV serials, Video Games (remebeber Pac-Man?) and much more, using all the 80 pop coluture player has to hunt the biggest treasure of all time (100+ billion dollars) in an online game called ‘OASIS’. OASIS is a virtual world which is very realistic and it contains multiple planets and landscapes which are as real as earth’s landscapes. OASIS was created by a lonely computer geek ‘James Halliday’ who is obsessed with the 80’s pop culture. OASIS became mega hit because in 2044 world has become dark place to live and to escape famine, poverty most people chose to enter the virtual world of OASIS. When Halliday died, he state in his will that the vast empire (100+ billion dollars) would go the person who will find the three keys hidden inside OASIS and open the gates using them and find the ultimate prize – “The Hidden Egg”. Over the years many people searched for the Keys but none succeed and even evil corporation like IOI which is also searching for the Key by using its Agents to take control of OASIS. And then a 18 Year old boy Wade finds the first Key after five years and suddenly the HUNT for the Egg is live again. The whole world is watching the HUNT again and millions are searching for WADE and the only way to escape from this nightmare is to WIN the HUNT! 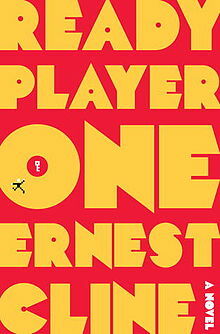 Ready Player One at its core is a treasure hunt which is narrated by 18-year-old WADE. The story is basically a greatest treasure hunt of all time where millions of hunter (or gunters as they called because they are searching of Egg – Egg Hunters == Gunters 🙂 ) are hunting for the Egg to own the fortune and OASIS itself which is as of now is free of cost. I enjoyed the characters specially WADE and Art3mis and I enjoyed the picture it presented about the future of multi-player online video games. fortune – and remarkable power – to whoever can unlock them. For years, millions have struggled fruitlessly to attain this prize, knowing only that Halliday’s riddles are based in the pop culture he loved – that of the late twentieth century. And for years, millions have found in this quest another means of escape, retreating into happy, obsessive study of Halliday’s icons. Like many of his contemporaries, Wade is as comfortable debating the finer points of John Hughes’s oeuvre, playing Pac-Man, or reciting Devo lyrics as he is scrounging power to run his OASIS rig. Overall If you are geek, you’re going to love this book. If you are a video game addict, you’re going to love this book. If you are sci-fi fan, you are going to love this book and if you love 80’s games like pac-man, movies, books then you are going to love this book!